For many readers, superhero comics are a gateway into the medium. It’s what most think of when they think comics – you know, spandex, punching, super villains and the whole nine yards. And whether you’re talking about Batman, Spider-Man or the X-Men, many readers – even the ones who only read higher brow comics today – started there. That was my story, at least. While the first comic book I remember loving was from Marvel’s old Transformers series, the ones that really hooked me were the early 1990’s X-Men titles. People disparage a lot of the comics from that era now, but major stories like X-Tinction Agenda helped me become the comic fan I am today. And when you look at superhero comics like X-Tinction Agenda and many of the most notable works in that section of the medium, thematically, they are teaching us that helping those in need when you can is a noble thing. While Spider-Man’s the one associated with this mantra, superhero comics as a whole are deeply rooted in the idea of “with great power comes great responsibility.” Or, to put it another way, if you have a way to help others who need it, you should. Yet there are times where some of the most important figures in comics are put into heartbreaking situations and oppressive strife. And quite often, diehard fans like myself miss this completely. How could this be happening without our knowledge, you might ask? Could we really let such a game changing storyline pass us by? We can, and we do quite often. That’s because it isn’t happening within the pages of comics, but to the people who make them and the works themselves. Year after year, both comic creators and their creations face great adversity, and except in notable cases, only a fraction of fans hear their stories and even fewer come to their aid. For a long time, they were basically on their own dealing with plights as disparate as legal troubles, health issues or even having a place to live despite success within the field. Today, that story has changed thanks to the work of a pair of notable groups. Comics and their creators have their own defenders in the form of the Comic Book Legal Defense Fund (CBLDF) and Hero Initiative (HI), a pair of charitable organizations built on doing what superhero comics taught many of us long ago: to help those in need. Today, we’ll be taking a look at the work of those two organizations, what they’re all about and how they’re helping make a better comic industry for those within it. They both have a lot to offer and come to the aid a lot of people in comics, and we’ll examine them with the help of supporters and those who have been supported. While most instances of challenges to books and even bans don’t evolve into the type of news the general public hears about, that doesn’t mean these kinds of things aren’t happening on a regular basis. And it doesn’t matter what kind of art you’re talking about – movies, TV shows, music, books, etc. – a challenge can come from anywhere and be about anything. Comic books and graphic novels are no different. That’s why the Comic Book Legal Defense Fund (CBLDF) isn’t just a good thing; it’s an essential organization that has saved the day in comics as much as some of our favorite heroes. Their role is simple – they’re a non-profit “dedicated to protecting the First Amendment rights of the comics medium” – but the reality of it is much more complex. The work of Charles Brownstein – the Executive Director for the CBLDF – and his team is all about protecting comics and their creators, but that means they can’t just be reactionary. They have to be proactive. 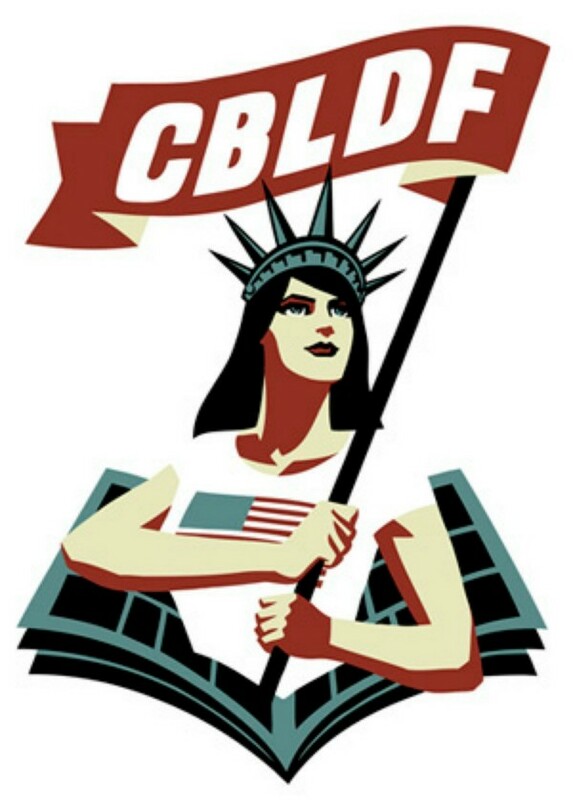 As Brownstein shared, “it’s better to prevent a case than to defend a case.” That means the CBLDF monitors legislation, challenges unconstitutional laws, educates the public and does plenty of other work that helps protect the freedoms of the creators and works in the comic book medium. And the reason they need to do that is because the kinds of charges they help deny are the type that can change lives forever. While you may hear something like that and envision the CBLDF defending near pornographic works, that isn’t the case at all. They could be defending any creator at any time, and within any genre, really. In the past year, for example, they’ve defended the works of luminaries like Neil Gaiman and Raina Telgemeier from challenges related to the contents of their work. And while creators being unable to draw or write in their own homes is on the extreme end of punishment, that being a possibility for some of the cases the CBLDF helps with makes their support an imperative for those who receive it. It’s why they have to be so proactive. But it’s not just creators they protect. They’ve defended comic shops in the past as well. To great success, Brownstein noted. “There hasn’t been a prosecution of retailers since we won the case defending retailer Gordon Lee in Rome, Georgia, almost ten years ago, and part of the reason for that is that we are aggressive about responding to every tiny skirmish before it can become a case,” he said. The efforts they put help enable the creators and publishers within comics to freely craft meaningful, impactful work, shared Filip Sablik, President of Publishing and Marketing at BOOM! Studios (who is a corporate sponsor of the CBLDF). Their work never stops, as Brownstein noted. They get “dozens of calls per year from people who need (the CBLDF’s) help.” It can be anything from the most mainstream of titles being challenged in a school to readers themselves facing police action because their roommates thought the comics on their computer were suspect. Because of that, Brownstein and his team’s lives are perpetually in motion, but that’s okay with him. He described a single day for him, and it was as diverse as the comics they have to protect. It included a number of meetings, strategizing for the upcoming Banned Books Week, editing articles for their site, tackling an unconstitutional law in Louisiana, emailing with superstar creators about upcoming projects, reviewing notes for upcoming plans, and much more. Because of how busy they are, Brownstein admitted that volunteers and supporters are “absolutely critical” to them fulfilling their incredibly important tasks. They have many strong advocates in the creator community, including Shutter and Ringside writer Joe Keatinge. He shared that one of the three guiding principles to his career is “leave things better than how I found them in any way I can, specifically in terms of the state of the industry.” Keatinge’s very aware of how poorly treated many of his predecessors were, and it’s important to him that he does what he can to help protect the creators of yesterday, today and tomorrow. That’s one of the biggest reasons he supports the CBLDF. Creators like Jimmie Robinson – who has long self-published his work or released it through Image, ensuring that he’d need to protect himself if trouble arises – finds them to be essential in his quest to tell the kinds of stories that speak to him and his fans. 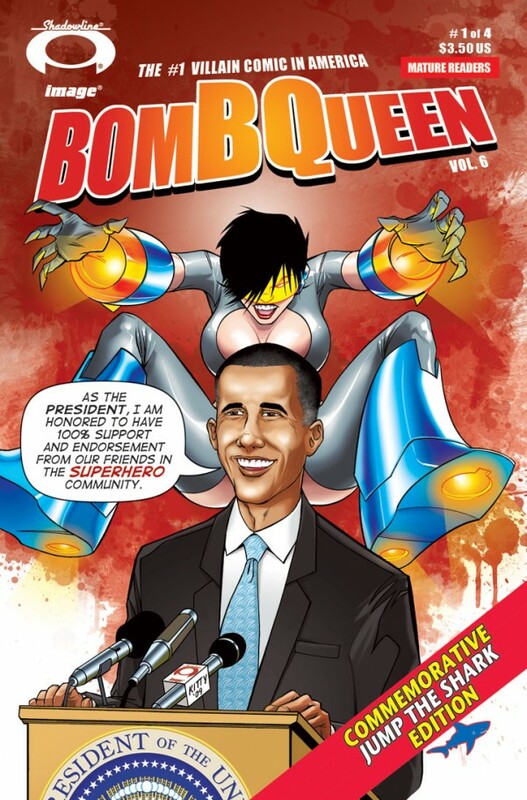 While Robinson’s work has never needed protection from the CBLDF, he’s continued to push boundaries with works like Bomb Queen, which includes social/political commentary and mature themes. And that’s the thing: in a perfect world, the CBLDF wouldn’t exist. But we don’t live there, and their role has grown in importance with the increased reach of voices on the Internet and the rise of the popularity of comics. Brownstein shared that “there’s been a sharp uptick in challenges to comics,” and it’s hardly over the top, scandalous material. 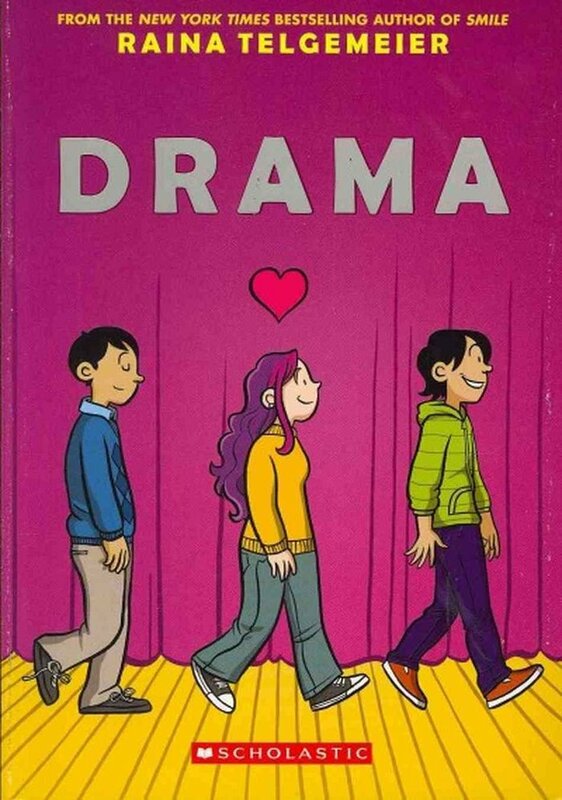 Books like Gilbert Hernandez’s Palomar and Alison Bechdel’s Fun Home have been amongst the more than 24 attempts to ban comics in the past year, with school and library challenges “rapidly increasing” over the last few years. Without the CBLDF, it’s hard to imagine what the state of some of the great comic works would be today. “I was just reading about the CBLDF joining a coalition to defend The Adventures of Huck Finn from being banned in a school due to content issues. Is some of the content of Huck Finn problematic? Yes, to say the least. Should you ban it? Absolutely not. Denying an ugly past does nothing to help educate the present on bettering their future,” Keatinge said. 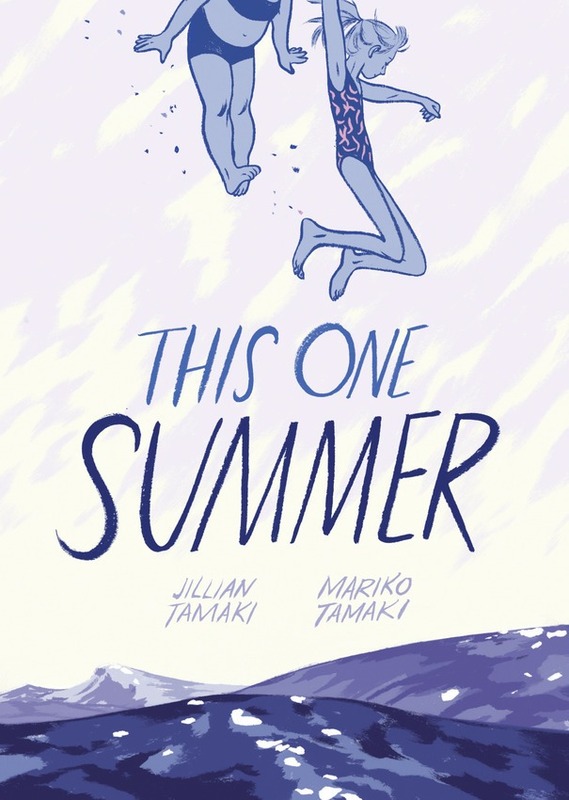 A comic the CBLDF successfully defended was also one of the most acclaimed graphic novels in recent years: the Caldecott Medal winning This One Summer from Jillian and Mariko Tamaki. After ordering it based off its pedigree rather than its content, several school libraries pushed for its removal from not just area elementary schools, but high schools. Thanks to the work of the CBLDF and others, that didn’t happen. Books like that are just the tip of the iceberg, and Brownstein expects even more challenges this year if things continue on the way they’re going. That’s why the CBLDF is more important than ever. And one thing to remember in regards to the CBLDF is their work doesn’t just impact one book. As Brownstein shared, “every time a book is challenged, educators and librarians are at risk of losing their jobs, and students are being stigmatized for their choice in reading.” When one title is challenged, it could have a domino effect on the lives and work of people far beyond the creative team behind it. Not only that, but they protect the work of the future, helping ensure greater freedom for tomorrow’s creators. In that regard, the CBLDF isn’t just protecting the work, but every person touched by it as well. You can go with a quick one-liner to describe most organizations, but in doing so you’re barely scratching the surface of what they do most of the time. That’s true for the CBLDF, but it’s especially the case for Hero Initiative (HI). The ten thousand foot version is they’re a not-for-profit corporation that helps comic creators in need, providing a financial safety net for those that make the comics we love. But they’re much more than that. 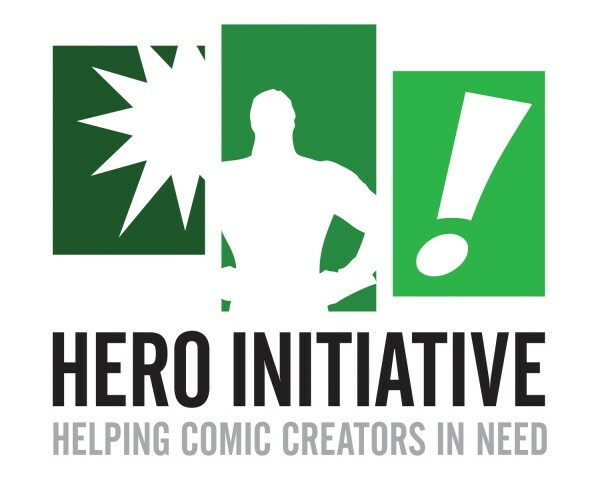 While most know them for the funding they provide those that need medical care, Hero Initiative’s President and co-founder Jim McLauchlin shared that they help with anything: rent, groceries and even helping creators find their way back into regular paying work. And it all started because of McLauchlin’s past work as a sportswriter. BAT (the Baseball Assistance Team) – an organization that helped retired professional baseball players with financial needs – inspired him to develop HI with Mark Alessi, then of CrossGen Comics. “I thought it was a crying shame that something similar didn’t exist in comics,” said McLauchlin. In much the same way that Keatinge felt about the CBLDF, McLauchlin wanted to ensure that the comic creators of yesteryear (and today) had someone watching out for them, especially in this boom era. Writer Ron Marz is an advocate of the organization, and he even helps organize a yearly event that celebrates Jack Kirby’s birthday for THI. The inherent nature of comic work makes this organization necessary in his mind. The fact that the characters these creators now star in movie and TV franchises makes the need for HI all the more tragic. You hear about literary heroes like F. Scott Fitzgerald dying penniless, but many forget or never know the creative minds that birthed the heroes we love, and how they too can struggle without our support. 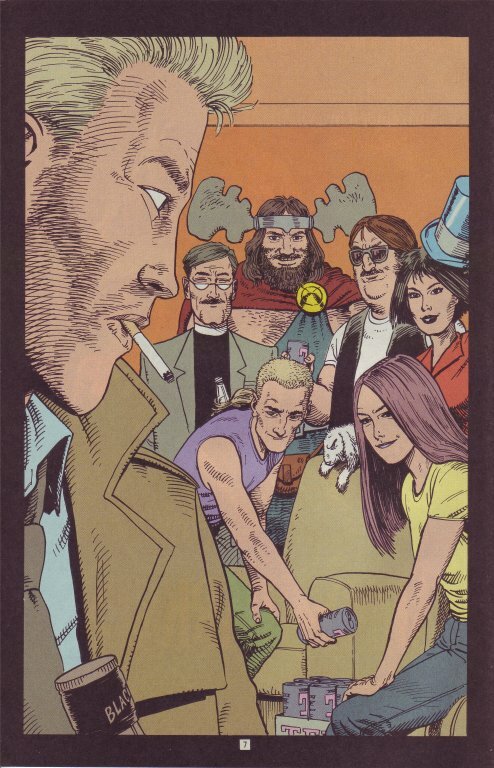 Karl Moline’s a well-known comic artist who co-created Fray with Joss Whedon and worked on titles like Buffy the Vampire Slayer. Never in a million years would he be someone I’d expect to need the Hero Initiative’s support. In my mind, he was a great success in comics. And in truth, he is, as well as a hell of a talent. But as Marz suggested, the freelance life and its lack of health benefits can lead to dark places, even for known commodities like Moline. At the time, Moline was “out of options,” and if not for McLauchlin’s organization, he might not be here today. Colorist Tom Ziuko feels the same way about them. Ziuko’s a notable professional who has worked on nearly 700 comics, including giants like Batman and Action Comics, even earning an Eisner Award nomination in 1994. As a younger man, living with no health insurance wasn’t a problem. But with middle age came health issues including kidney failure, neuropathy and emergency colon surgery. That prevented him from working and brought extreme financial cost to his doorstep. Without THI, Ziuko’s plight would have been even more dire. Hester shared that there’s a real disconnect between how fans envision the lives of creators and the way they really are, which can contribute to the issues that arise for them. For an organization like HI – and the CBLDF, for that matter – support by the industry and fans is essential. That’s why Marz helps with events, Hester puts out tip jars at every con, hundreds of artists provide sketches for their “100 Projects,” and “massively important” (McLauchlin’s words) fans volunteer to help generate funds and awareness to what the Hero Initiative is accomplishing. While another comic site raised red flags about HI’s finances towards the end of last year – specifically about the ratio of money given out in grants versus salary for staff – it’s worth mentioning that if you do a little homework, that’s not uncommon in charitable organizations (including ones like the American Red Cross, American Cancer Society and even the CBLDF). The work the Hero Initiative does is both on the level and essential to the livelihood of creators from yesterday and today, as Ziuko found out. “When I was first stricken with kidney failure and hospitalized for months, the esteemed comic book writer/creator Gerry Conway put it to me thusly when he sent me $500 out of his own pocket – ‘If we’re fortunate enough to be able to afford to do so, we have to be there to help each other out in these times of need. It’s just the right thing to do.’” Ziuko said. That’s why Ziuko didn’t just accept my invitation to comment on this piece; he insisted on it. He’s seen the value of the Hero Initiative first hand, and he wanted to share a message directly to readers as to why you should do what you can for the organization. While the case has been made ad nauseam already, it’s worth mentioning once again that these organizations do work that helps the comic industry in more ways than you can imagine. And to do that, they need your help. Whether that means becoming a card-carrying member of the CBLDF, donating money or time to one or both, or even just talking about them, every little bit can make a difference. The history of comics is filled with men and women who have changed our lives with their work. Their stories have helped us not just fall in love with the medium, but in some cases helped define our morals and our passions. These are the people whose shoulders, in the words of several contributors to the piece, our generation of readers and creators stand on. They’re the ones who have made the successes we’re seeing today possible. And the fact of the matter is, many have seen struggle in a variety of ways. That’s why the work of the CBLDF and the Hero Initiative is so essential to the past, present and future of comics. While their purviews may be different, their end goals are similar and something we as comic fans are familiar with. They’re the people who protect those who need protecting, like real life superheroes. But as comics have taught us, even superheroes need help sometimes. Keep that in mind the next time you see one of their booths at a comic convention or a fundraiser happening online. Your support could change everything for a creator or comic you love. Thanks to Charles Brownstein, Jim McLauchlin, Joe Keatinge, Filip Sablik, Jimmie Robinson, Mariko Tamaki, Gina Gagliano, Ron Marz, Phil Hester, Karl Moline and Tom Ziuko for the help with the piece. 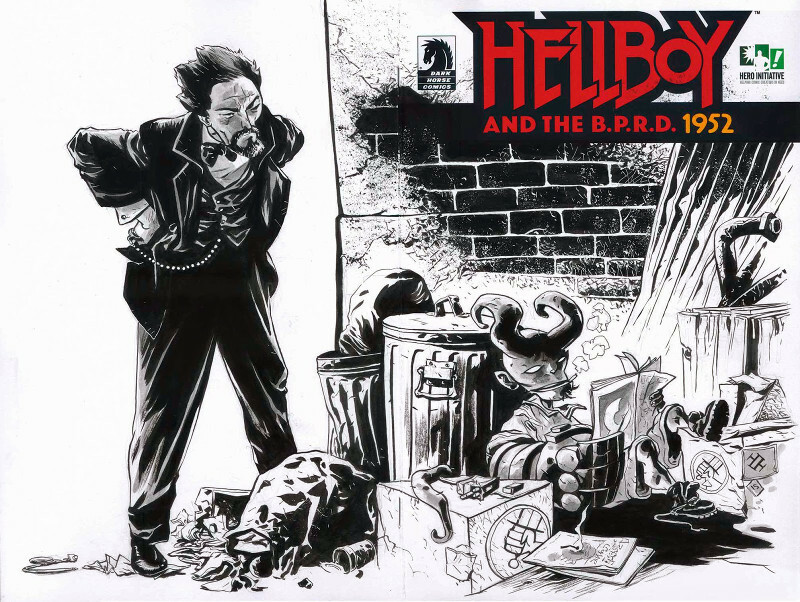 If you’re interested in contributing to the CBLDF or The Hero Initiative, you can find out how on their respective websites.